A pull weight as low as 8 oz for your Remington 700 plus four different, fully adjustable trigger shoes for a custom fit. 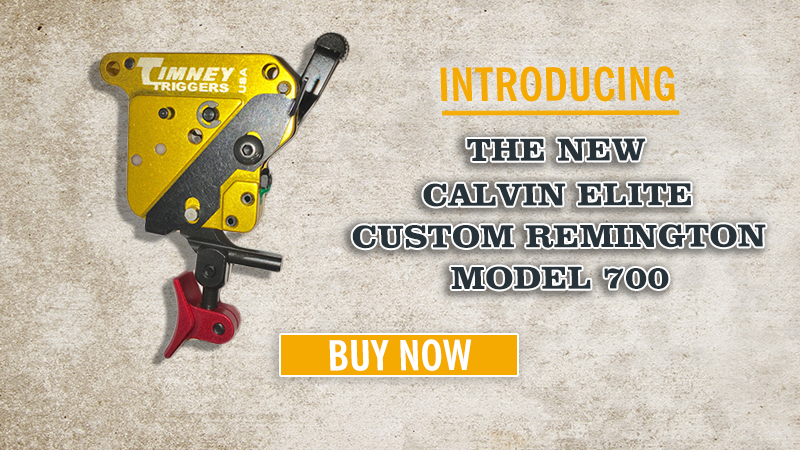 An engineering accomplishment, the Calvin Elite series of Timney Triggers feature wear components that are made from A2 tool steel, heat-treated to Rockwell 58 and Teflon-nickel coatings. 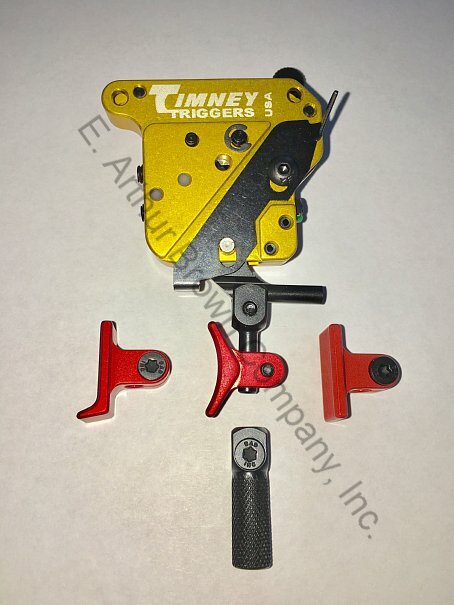 This trigger comes with a total of four different shoes that include curved, flat, heeled, and knurled. All necessary tools for fitting and adjusting shoes are included. One key feature of the trigger is the shoes are fully-adjustable for a custom fit for every user and application. The shoes are adjustable for length of pull, cast and height for the ultimate in custom comfort and positive contact. Additional shoes are available in a variety of color options. Red shoes are included standard with all triggers.